We’d love your help. 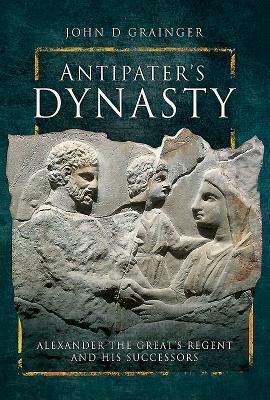 Let us know what’s wrong with this preview of Antipater's Dynasty by John D. Grainger. Antipater was a key figure in the rise of Macedon under Philip II and instrumental in the succession of Alexander III (the Great). Alexander entrusted Antipater with ruling Macedon in his long absence and he defeated the Spartans in 331 BC. After Alexander's death he crushed a Greek uprising and became regent of the co-kings, Alexander's mentally impaired half-brother (Phi Antipater was a key figure in the rise of Macedon under Philip II and instrumental in the succession of Alexander III (the Great). Alexander entrusted Antipater with ruling Macedon in his long absence and he defeated the Spartans in 331 BC. After Alexander's death he crushed a Greek uprising and became regent of the co-kings, Alexander's mentally impaired half-brother (Philip III Arrhideus) and infant son (Alexander IV). He brokered a settlement between the contending Successors but died in 319 BC, having first appointed Polyperchon to succeed as regent in preference to his own sons. To ask other readers questions about Antipater's Dynasty, please sign up.